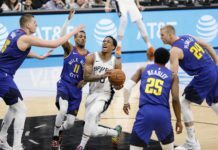 Similar to the many of the Nuggets’ international draft-and-stash players, Gary Harris has been a bit of an experiment during his time in Denver, and it’s been interesting to watch. Year one was a bit of a disappointment for the shooting guard out of Michigan State, as he entered the NBA with the reputation of being a three-and-D standout. While he showed brief glimpses of this ability, that was all it was — brief. Under Brian Shaw, Harris only played 13 minutes a game, averaging 3.4 points, 1.2 rebounds, .7 steals and .5 assists. Year two, things started to come together. 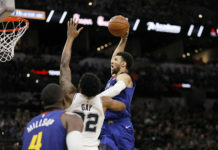 Harris cemented himself as the starting shooting guard and put himself into contention for most-improved player, averaging 12.3 points, 2.9 rebounds, 1.3 steals and 1.9 assists per game, all while shooting 46.9 percent from the field and 35.4 percent from beyond the arc. More importantly, he averaged 32.1 minutes per game and earned head coach Michael Malone’s trust. And as a third-year player, his maturity truly stands out. With the addition of Jamal Murray and Malik Beasley in the draft, and with the recruitment of Dwyane Wade in free agency, Harris could have been frustrated; he could have questioned why the Nuggets were stocking up on shooting guards who could potentially take his starting job. Now, with year three on the horizon, Harris is preparing for what should be his most successful season. And it starts in the summer. 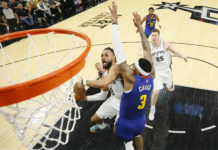 Harris played in one Summer League game before he was shelved by coach Malone, putting up a stat line of 22 points, four rebounds and two steals, showcasing every aspect of his ever-growing game. After that, the Nuggets knew they didn’t need to see any more from their starting two guard. 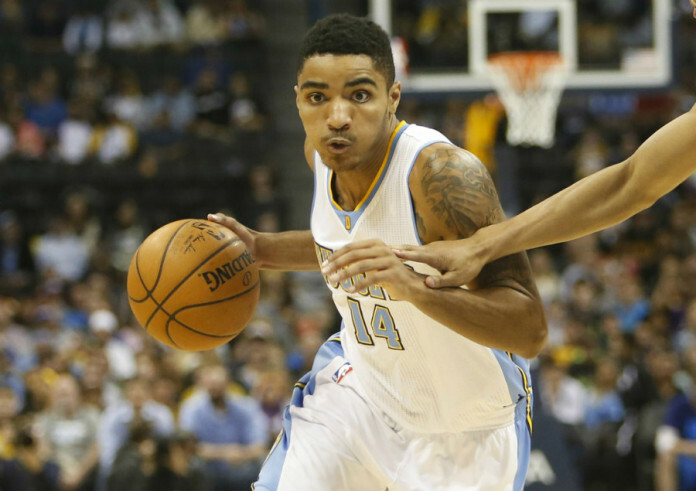 They understood that this is Gary Harris’ year.